Awhile back the five of us Bloom! 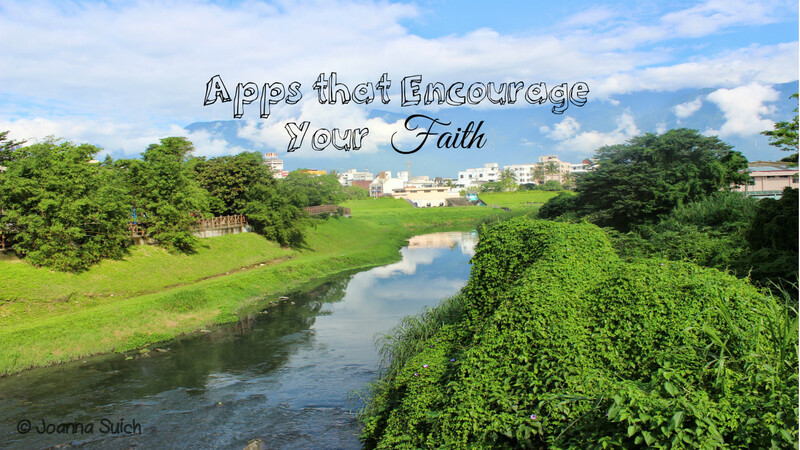 ladies chatted about some of our favorite apps that spur us on in our walk of faith. Here's some of our favorites for you to check out. Feel free to comment below with any others you may have that will encourage your fellow sisters in Christ! YouVersion Bible - Get the Bible on your phone or mobile device and read the Bible any time, day or night. YouVersion also has some great devotionals, including Spurgeon's Morning and Evening devotionals. Bible Gateway - Similiar to YouVersion Bible app, Bible Gateway provides God's Word with easy access to many translations and languages. Podcasts - Take advantage of the podcast app on your device (download one if you don't already have it) and subscribe to a few worthy channels, such as The Briefing to hear about world news from a Biblical perspective or Ellerslie to hear soul-stirring sermons from Eric Ludy and others. Scripture Typer - Looking for an app that aids you in hiding God's Word in your heart? Check out Scripture Typer then! K-Love - Get access to a lot of contemporary Christian music! Sermon Audio - If you want access to over 1 million sermons, get this great app! You can hear from more well-known pastors and speakers such as John MacArthur, Jim Elliot, and many, many others. Be encouraged and refreshed through these sermons! Matthew Henry Commentary - Written in 1706, Matthew Henry offers a commentary on every verse in the Bible. George Whitefield and Charles Spurgeon used to use Henry's commentary. If you are wanting a commentary on the Word, take a look at this app. Any other encouraging apps out there that you'd recommend? Comment below!